How do I broadcast with the Windows 10 Game Bar? 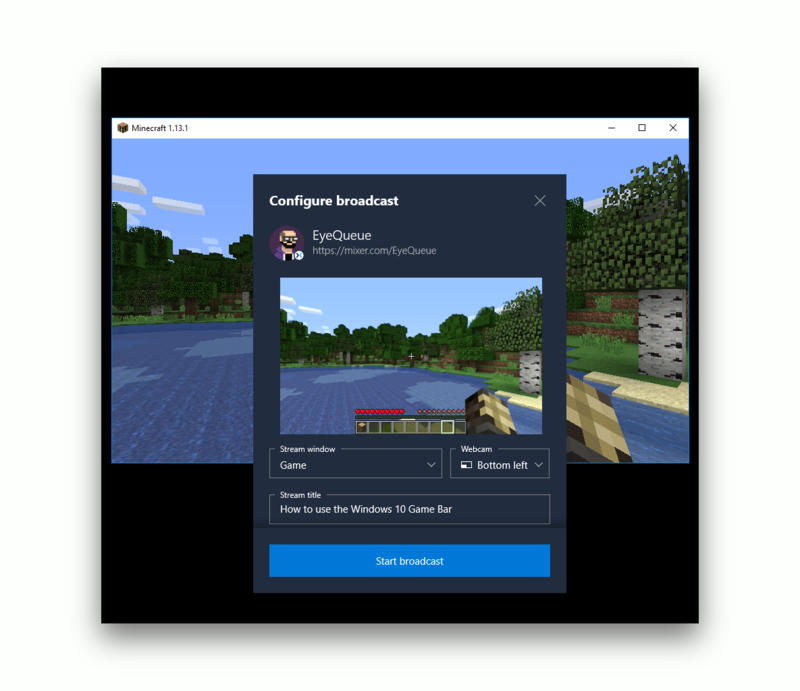 With Lightstream Studio on Mixer there's no need for complicated broadcast software, even on your Windows 10 computer. Before proceeding, you'll want to make sure you have your Game Bar enabled inside of Windows itself. To get the bar enabled, open your computer's "Settings" by hitting your Windows key, typing in Settings, and hitting enter. Once there, proceed to the Gaming section, and then go into "Game bar". On this menu, please make sure that the toggle at the top of the page is switch to "On". 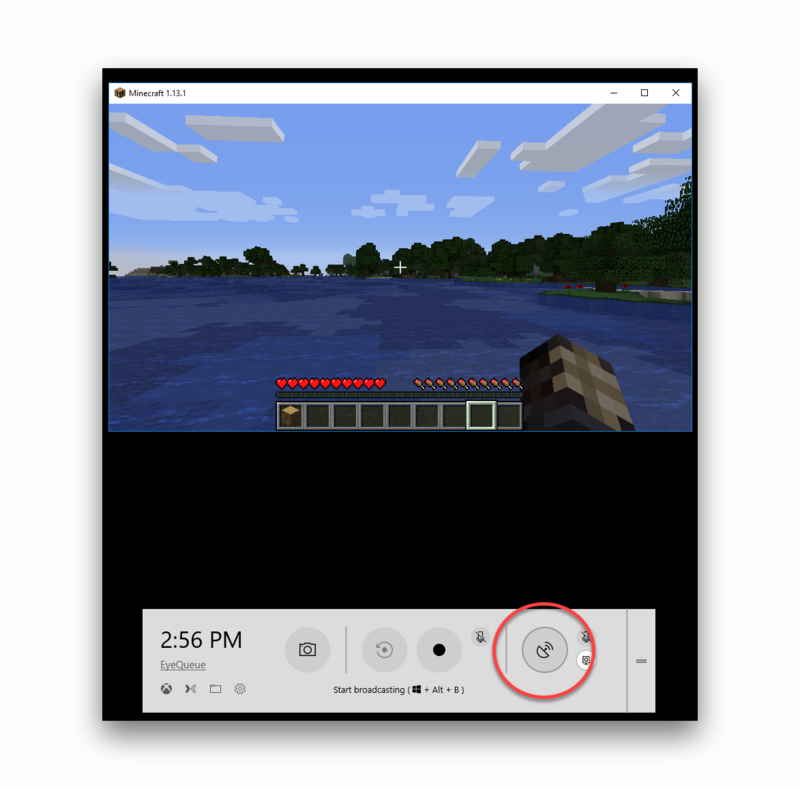 Next, to start a broadcast from Windows 10, simply start your game and press the shortcut to launch the Windows 10 Game Bar (by default, this is ⊞ Win + G)*. *You may be presented with a dialog that asks "Do you want to open Game Bar?". If this happens, tick the box that reads "Yes, this is a game". The Game Bar will then appear below the chosen application. Press the broadcast button as shown above (alternatively, you can always begin the broadcast without the game bar with ⊞ Win + Alt + B). Next, you'll see the Mixer broadcast dialog box (or you'll be asked to sign in to Mixer if you haven't already). From there you can choose to stream either the game window or your entire desktop. You can also configure webcam placement and provide a title for your stream. When ready, press the "Start broadcast" button to go live on Mixer. If you've added overlays and alerts in Lightstream those will appear over your gameplay capture on the Mixer site.